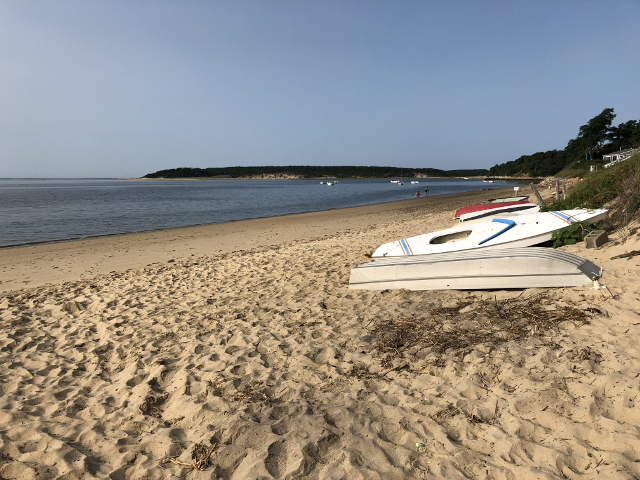 A small beach overlooking Wellfleet Harbor, it is a perfect spot to enjoy the day. Calm waters make if great for swimming. There is a very small parking for use with a sticker(resident, seasonal, or daily). Quiet, bay side, sand bar during low tide. Peaceful.